Mizu Con will be enclosed within the beautiful surroundings of the Uni campus, as it's not term time, the main Campus accoms and Hotels are occupied by tourists and visiting conferences. 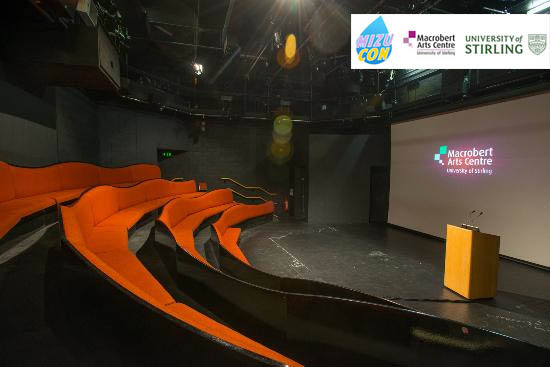 The Macrobert Arts centre is the hub for Mizu Con, and we've hired the entire building, just for Mizu, but the campus offers so much more and many opportunities for outside events. 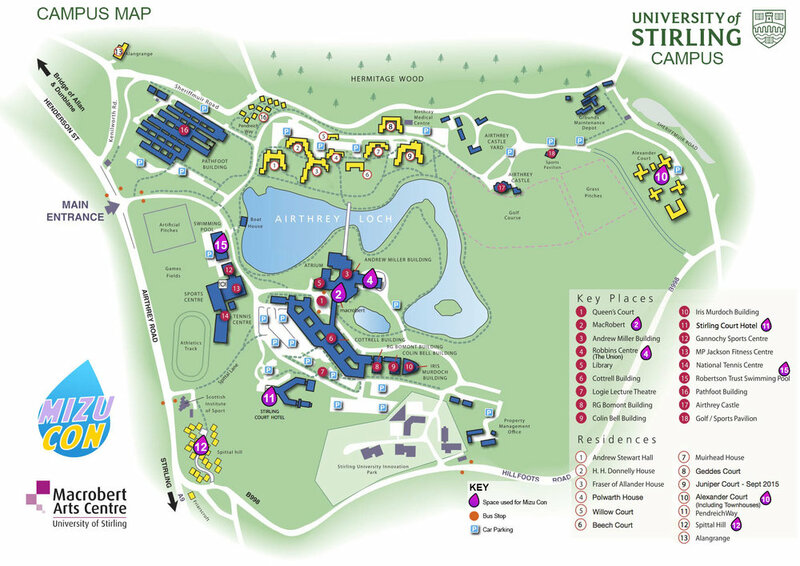 The Univiersty Campus is totally enclosed with the MacRobert building at the heart of the site and accomodation and facilities dotted around the gorgeious lake. View across the Loch of some of the accomodation. The bridge that links the Macrobert and main campus to the accomodation buildings. On campus swimming pool, which attendees can get access to for an aditional fee. The Student Union bar and club, 'The Studio' is connected to the same buidling as the Macrobert. Mizu will host evening events here.